The House Judiciary Committee will vote Wednesday on whether to authorize subpoenas to obtain not only special counsel Robert Mueller's full report and its underlying evidence, but also documents from five former White House officials related to that investigation. Those individuals are former White House counsel Don McGahn, former White House chief of staff Reince Priebus, former White House communications director Hope Hicks, former White House chief strategist Steve Bannon and former White House deputy counsel Ann Donaldson. 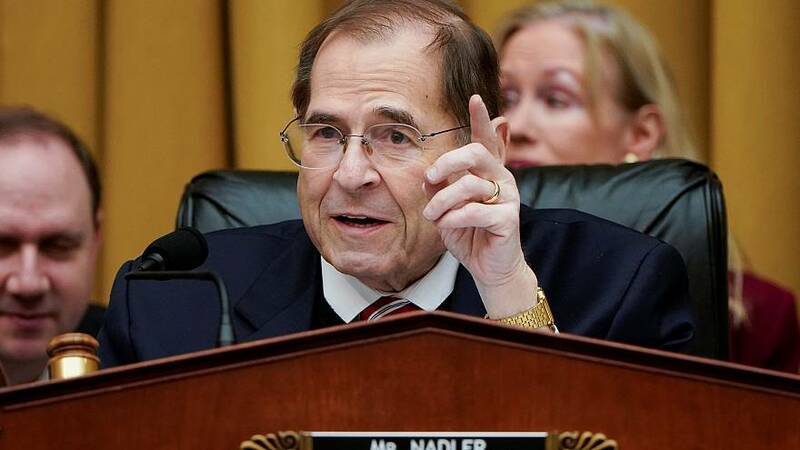 Should the committee vote to approve the subpoenas Wednesday morning, the timing of their issuance will be left to the discretion of Judiciary Committee Chairman Jerrold Nadler, D-N.Y. The vote will come more than a week after Attorney General William Barr released a four-page summary of Mueller's report on Russian interference in the 2016 election and whether any members or associates of the Trump campaign work with Russian officials to meddle in the election. Barr's summary quoted the Mueller report in saying that no criminal conspiracy was found between the Trump campaign and Russia, though Mueller said his report did not implicate or exonerate Trump of obstruction of justice, leaving it up to Barr to make a determination. Barr, who was critical of the obstruction inquiry in a memo prior to becoming attorney general, said in his summary that the evidence did not warrant obstruction charges against President Donald Trump. Trump and his allies quickly claimed total exoneration as result of Barr's summary. Late last week, Barr said in a letter to leaders of the House and Senate Judiciary Committees that the Mueller report is roughly 400 pages in its entirety, and that he would soon publicly produce a redacted version of the report. Democrats have pushed for the entire report's release.